Aloha offers same day outpatient drug detox with our Medication-Assisted Treatment (MAT) Program. This program utilizes FDA approved medications, in combination with counseling and behavioral therapies, to provide a holistic approach to the treatment of opioid, opiate, alcohol, and other drug addictions. Research shows that a combination of medication and therapy can successfully treat addictions and help sustain recovery. MAT is primarily used for the treatment of addiction to narcotics (opioids and opiates) such as Heroin, Oxycodone, Hydrocodone, Fentanyl, Percocet, Morphine, Methadone, Codeine, and Vicodin. The medications prescribed during MAT operate to normalize brain chemistry, block the euphoric effects of narcotics, relieve physiological cravings, and normalize body functions without the negative side effects of the abused drug. Medications used in MAT are clinically driven and tailored to meet each patient’s needs. Depending on an individual’s needs, our Physicians use Agonist Therapy or Antagonist Therapy medications, in conjuction with patient counseling, to holistically treat the addiction. Agonist Therapy can help relieve painful withdrawal and continuous cravings during detox. There are two types of Agonists – Full Agonist and Partial Agonist. Examples of Full Agonists include Heroin, Oxycodone, Hydrocodone, Fentanyl, Percocet, Morphine, Methadone, Codeine, and Vicodin. Full Agonists bind to opioid receptors that control pleasure and pain, the result being a feeling of euphoria and well being. Examples of Partial Agonists include Suboxone, Buprenorphine, Zubsolv, and Sublocade. Our Physicians prescribe Partial Agonist medications, which attach themselves to the same brain receptors as the addicted substance, countering the effects of Full Agonist drug withdrawal symptoms. Antagonist drugs are used to block addictive drugs from activating the brain’s receptors. Antagonist therapy has several benefits. Patients receiving antagonist drugs do not develop a tolerance to the medication. Additionally, antagonist drugs are not addictive in and of themselves. Depending on individual needs, our physicians prescribe Naloxone, Narcan, Naltrexone oral and Vivitrol injection. The addiction to opioids in the United States is a serious national crisis that affects public health as well as social and economic welfare. Opioid abuse now claims more lives than motor vehicle crashes. Opioid drug overdose deaths rose from 8,048 in 1999 to 47,600 in 2017. Every 15 minutes a baby is born suffering from opioid withdrawal. In 2017, an estimated 2.1 million people aged 12 or older had an opioid use disorder. YOU ARE NOT ALONE! Addiction doesn’t discriminate. It doesn’t care who you are, where you’ve been, or what you’ve done. 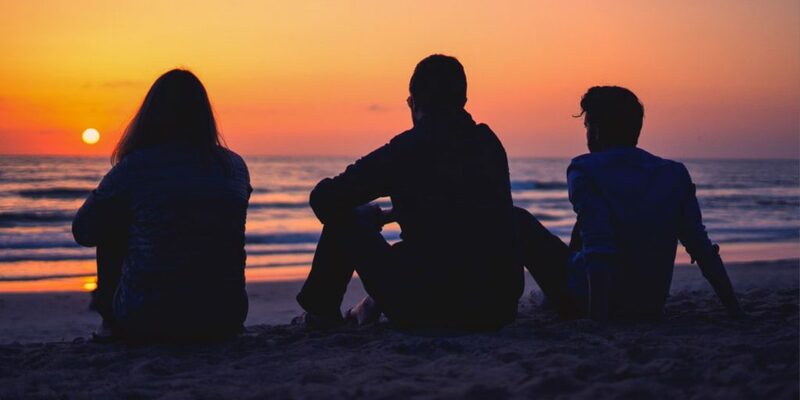 When beginning Substance Abuse Addiction treatment at Aloha, your Doctor and Therapist will customize an individualized treatment plan to fit your needs and lifestyle. With our MAT Program, you are able to detox in the privacy of your own home with little disruption to your daily life. Aloha is licensed by the State of Utah and follows state and federal guidelines to provide the safest and most successful care for you. Your success is our success. Our goal is for you to live the healthiest lifestyle possible. You might notice we do things a bit differently here. You actually get to spend time with the doctor and staff, not simply get shuffled in and out of the office. We’re here to answer your questions and provide you with comprehensive treatment. Each phase is designed to guide you through the recovery process.